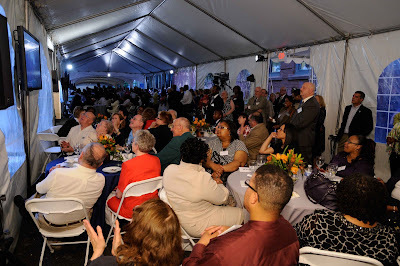 The Peirce community came together on May 23 under the tents on Carlisle Street for a wonderful celebration of the past, present, and future of the College at our second Spring Reception. 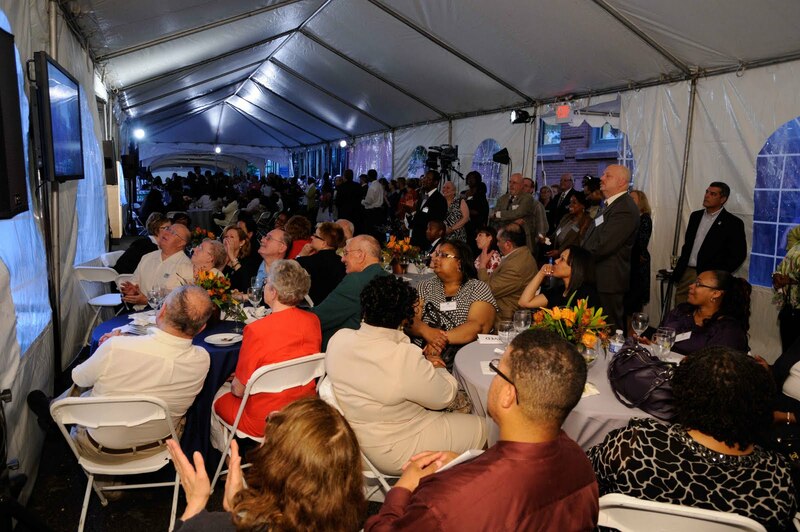 A highlight of this year’s event was the presentation of the revitalized Peirce College Alumni Association. Peirce alumni are an integral part of our College’s great success and unique character. In fact, alumni representing graduating classes as far back as the 1940s were among those who joined us for this special occasion. Alumni credit their Peirce experience for encouraging them to stay involved. The passion, commitment, and support from professors, staff, and classmates impacted their lives in so many ways -- personally and professionally -- and we hear alumni say time and time again that they want to continue to pay it forward to current and potential students. As student and soon-to-be graduate Cliff Spencer shared with the attendees, Peirce is more than a place to get an education. It’s a “life institution” that makes a real difference in your future. He is looking forward to starting the next phase in his lifelong relationship with Peirce when he earns his diploma on June 13 at our 2011 Commencement ceremony. Congratulations Cliff on your achievements! We’re proud to have you represent the Peirce family. As Peirce President Jim Mergiotti told the crowd at Monday’s reception, there are plenty of ways alumni can stay engaged and help their alma mater. Refer a potential student to the admissions office. Hire a Peirce student or graduate or mentor them through the job search process. Get involved and participate in the many programs and initiatives going on at the College. Provide a philanthropic donation to the annual fund or scholarships. How you stay connected isn’t important -- it’s maintaining that relationship that Peirce truly values. Steve Wurtz '08, President of the Peirce College Alumni Association, talked to the crowd about the Peirce journey. Every student’s connection begins the day they walk through the door, and the revitalized Alumni Association is just another way to continue that Peirce connection after graduation. So far, the Alumni Association’s efforts have been focused on several key areas: supporting career development services; impacting admissions efforts by sharing a unique and valuable point of view in recruiting the next generation of Peirce students; and keeping in touch by offering our alumni opportunities to meet face to face, connect through social networking, etc. Everyone comes to Peirce with their own unique story, but they all leave able to speak to the transformative power of a Peirce education. Many individuals come to Peirce as working adults, after putting others before them for so long, now finally putting themselves first to change their lives. It’s not easy, but it’s worth it, and the support system in this tight-knit community makes it possible. We can't take this journey alone. It will only succeed with the active participation of our graduates. But we are excited about the future of Peirce. We are forming a network that will be more valuable to you as you continue on your journey, a degree that means more and will help you achieve your professional goals. Thank you to all who came out to join us and to those who worked hard to put this event together! And of course, thank you for being a part of the Peirce community.